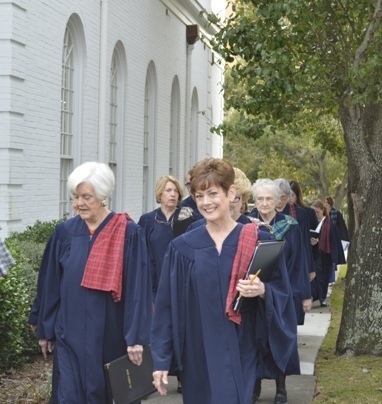 The Music Department at FPC offers vocal, instrumental, and handbell choir opportunities for adults. Brown Bradley and Skip Yingling invite you to join these ensembles or come and enjoy the glorious sounds offered throughout the year at First Presbyterian Church. 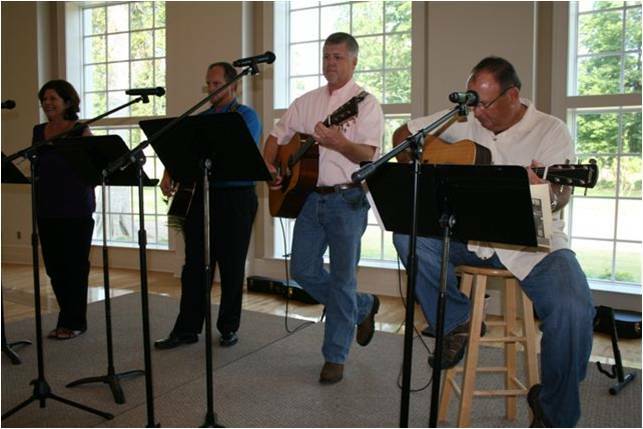 For more information about our Adult Music Ministry, contact Brown Bradley or Skip Yingling, 843.448.4496. 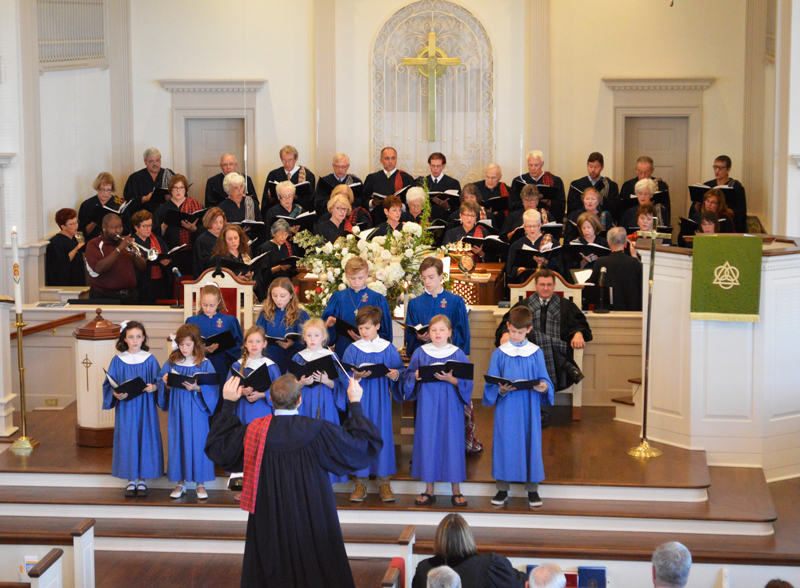 The FPC Chancel Choir provides music for the worship service each week and for special services throughout the year. 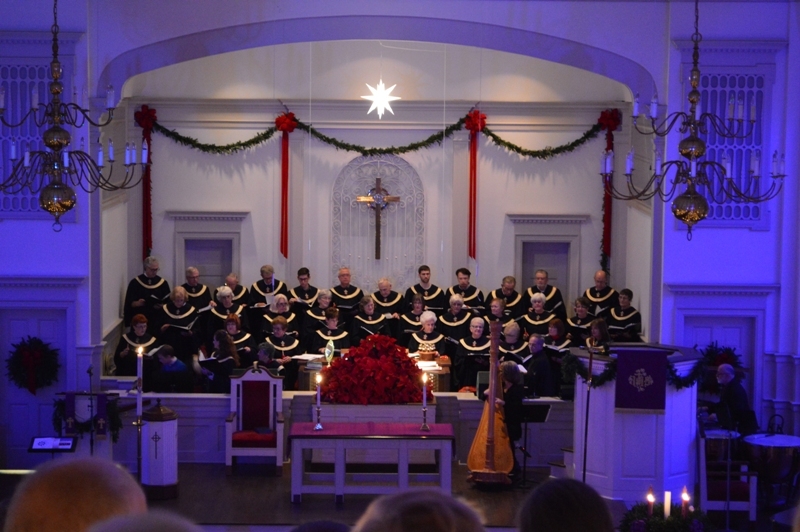 The choir also presents two major classical works annually at Christmas and Easter. Come and sing with the FPC Chancel Choir for the summer. This choir rehearses once a month and lifts their voices in praise every Sunday at the 11:00 am service. Choir members meet at 10:30 am in the choir room, 3rd floor, Kings Campus, prior to the Sunday service. Instrumentalists are used in many of our worship services and supplement anthems for special occasions. If you play an instrument and would like to share your gift, Brown Bradley, 843.448.4496, for an audition. This worship band leads the music for weekly Thursday night EARLY SABBATH services at 6 p.m. Vocalists and instrumentalists in grades 8 or above who would like to audition, contact Skip Yingling, 843.448.4496, for more information. The FPC Sextet is a professional group of soloists who sing for the early service each week as well as performing as soloists for many of our services. Auditions are held periodically for sextet substitute positions and guest soloists. The FPC Sextet rehearses with the FPC Chancel Choir on Wednesdays. Brown Bradley, 843.448.4496 for more information. 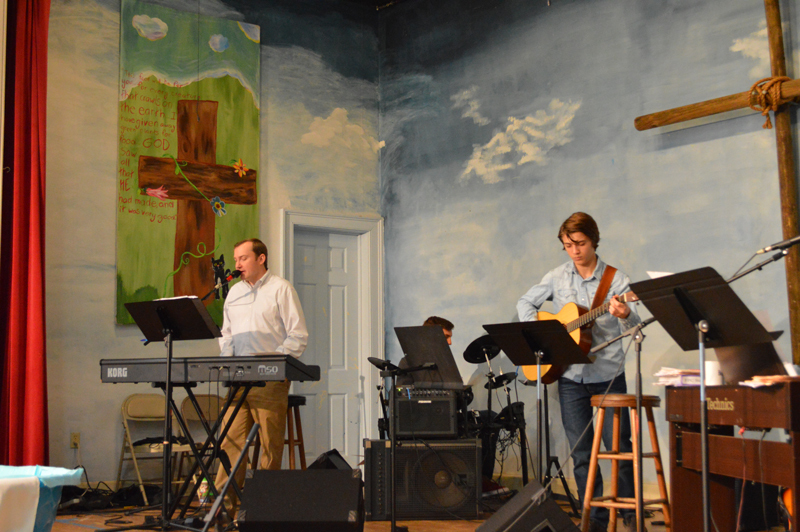 This worship band leads the music for THE GATHERING service at 10:05 a.m. the 1st, 3rd and 5th Sunday of the month. Youth in grades 8 or above and adults of all ages are welcome to audition. Skip Yingling, 843.448.4496, for more information.